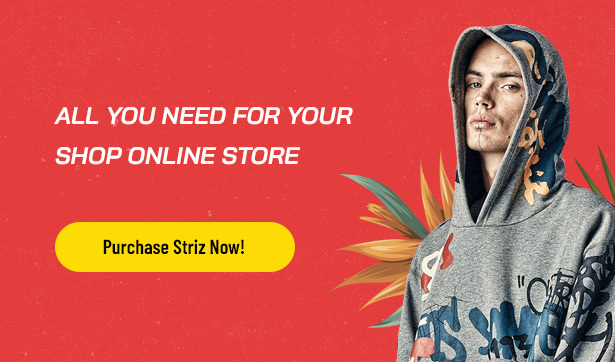 Striz is specially designed for Fashion Street Style such as streetwear, menswear, fashion street trends, accessories, etc. This unique & stylish Fashion Ecommerce WordPress theme is all you need for your fashion shop online store. 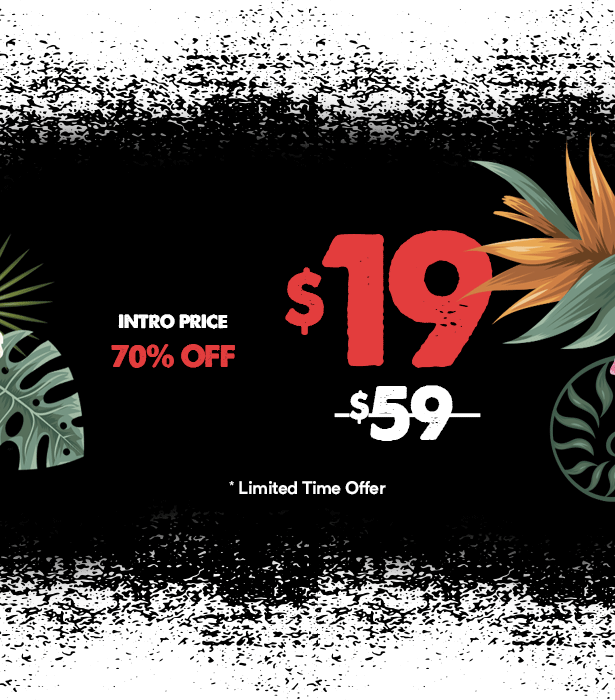 Impressing visitors with sharp & modern appearance, Striz comes with amazing effects & animations, theme plugins & options. Also, it helps you showcase your fashion street items in a smart way. 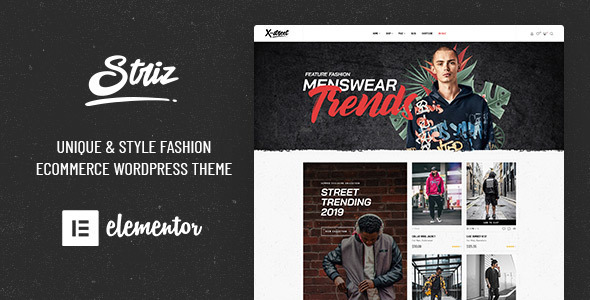 Striz fashion WordPress theme is integrated with the best drag and drop page builder – Elementor, Revolution Slider, WooCommerce and so many powerful Theme Plugins & Options to customize with ease. It’s so helpful with 04+ alternative premade homepages which are easily imported by one click. 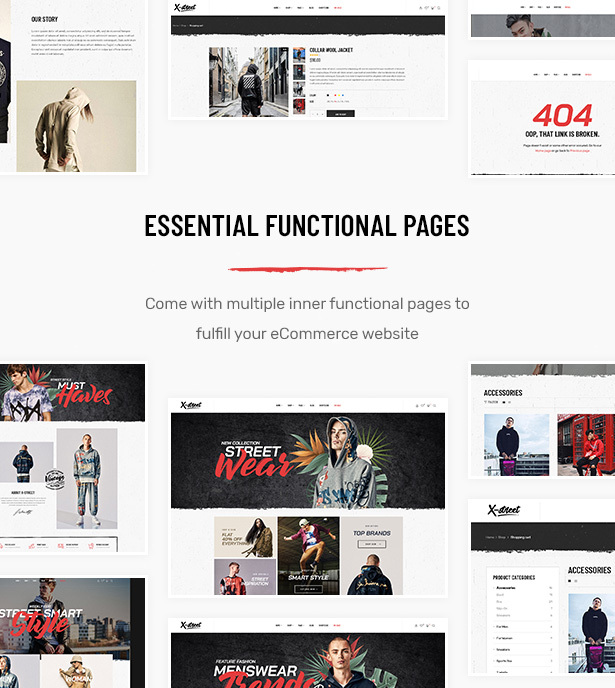 Moreover, the template provides you best WooCommerce shop page layouts, lots of functional pages and other outstanding features that will optimize your fashion website rapidly. 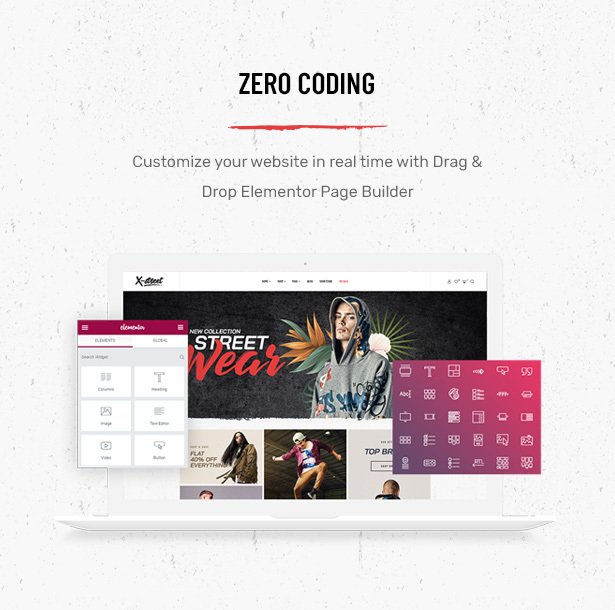 Striz offers 04+ minimal and clean layout designs with more full websites demo on the way for you. Just choose one of them and create your own fashion street eCommerce website! 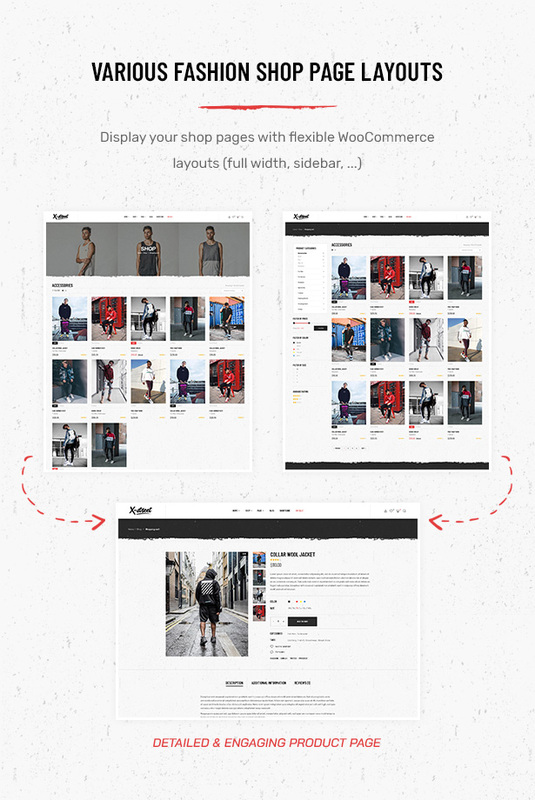 With WooCommerce support, you can showcase fashion street styles & trends such as clothing, sweat, jacket, accessories, … in smart layouts. Create a convenient and comfortable place for customers to enjoy shopping experience. 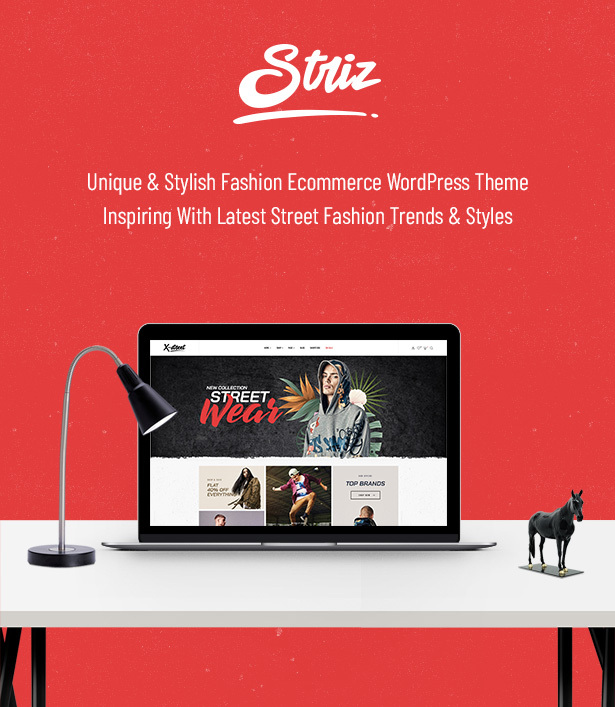 Striz – Creative Fashion Ecommerce WordPress Theme for Street Style enables your customers to track their orders in details. 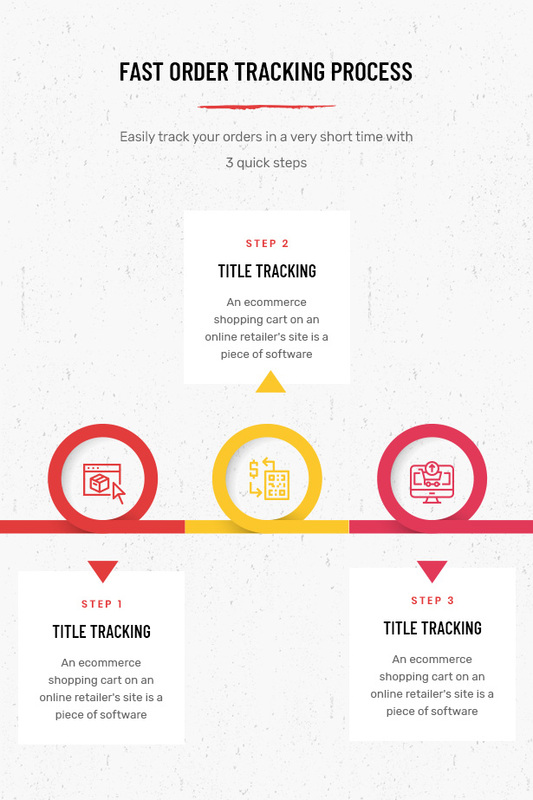 Let’s see how fast and easy order tracking process is! Blogging is one of the best effective strategies to attract more customers and boost SEO for ranking. Comprehending that, Striz offers you different blog styles to share your lifestyle, experience or fashion trends. Perfect WordPress theme for fashionistas, stylists, street fashion bloggers and creatives! 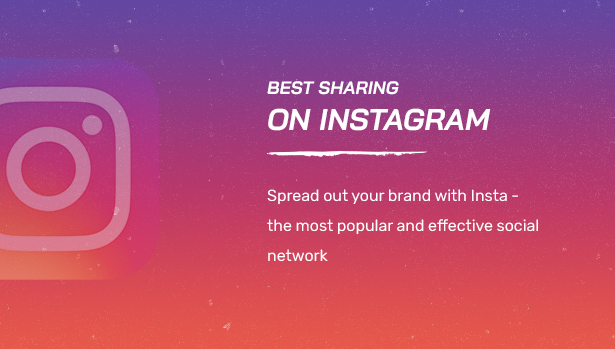 With Instagram one of the most popular social network, boosting your fashion website reputation is much more rapid and widespread. Beside multiple homepage, shop page and blog page layouts, Striz comes with many essential functional pages such as About, 404, Contact, FAQ, On Sale, etc. All of them aim at making your website become powerful and savvy. Not only outstanding with elegant, clean and modern layout designs, Striz definitely satisfy you with advanced features insight. 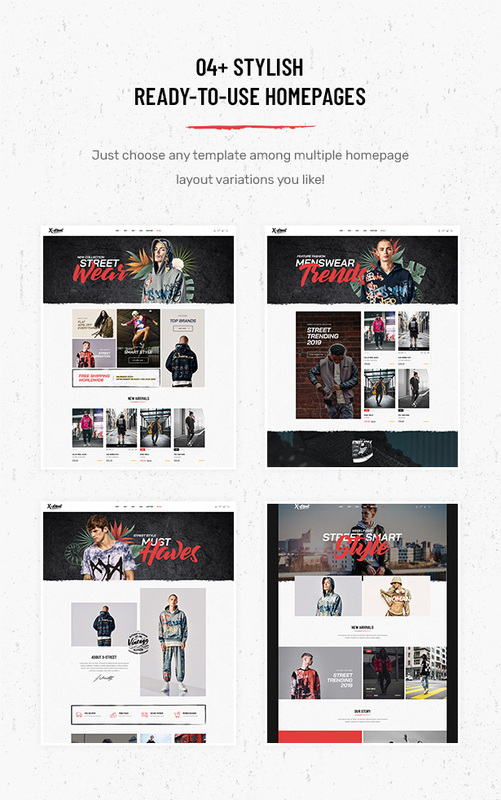 Let’s see what makes it become a dedicated fashion store WordPress theme for your street styles and trends. Enjoy real-time customization with Elementor – newest WP Page Builder. You can design in frontend with a live, drag and drop mode. 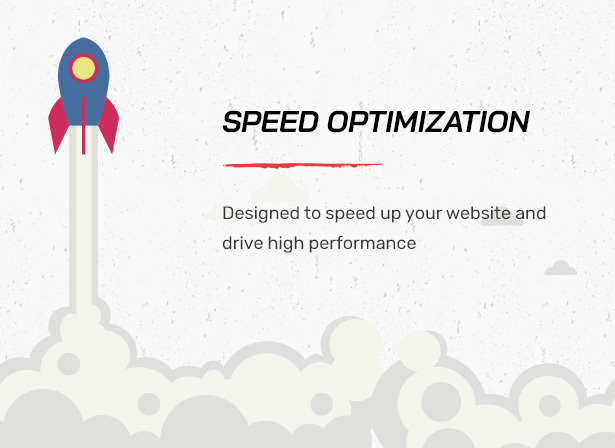 Then, experience the live performance and see how incredibly fast to build your website! 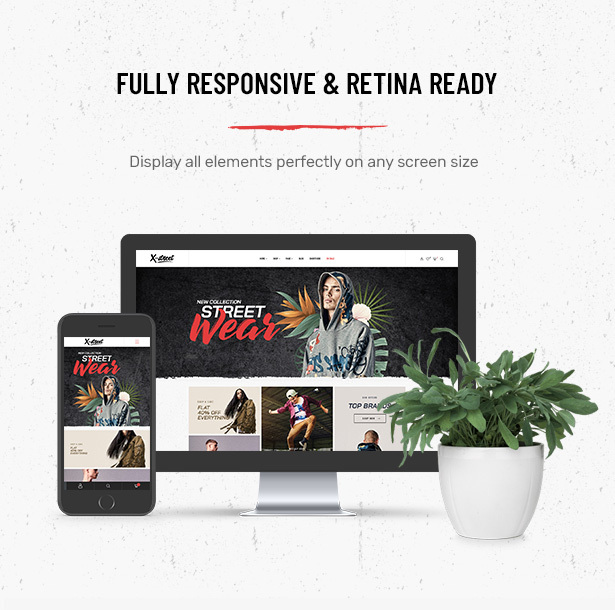 With Striz, your website will display perfectly on high-density Retina displays and high-resolution screens. Allow visitors access your fashion shop easily through any device. 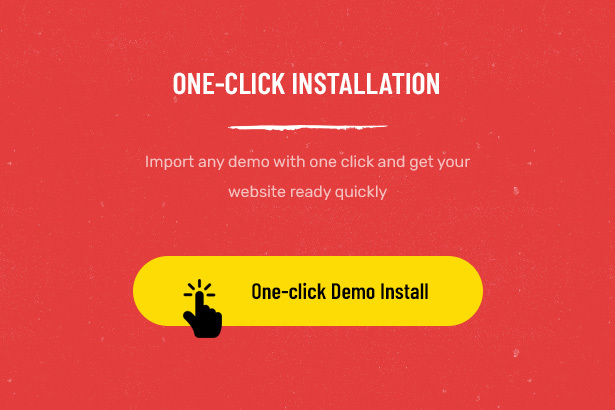 Help you save lots of time and effort to set up the website with a magic tool – 1-click installation. Import demo content, widgets and theme settings with one click and get the store ready in a short time. Speed up loading and activities of your website with a ton of transition effects & options to customize sliders. 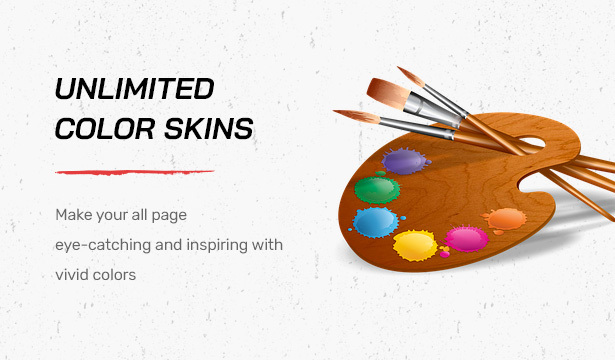 Featuring endless color skins in the color board or color palette to help you create beautiful and eye-catching appearance. This fashion WooCommerce theme enables you to change or config content, layout and style of header & footer professionally without coding. 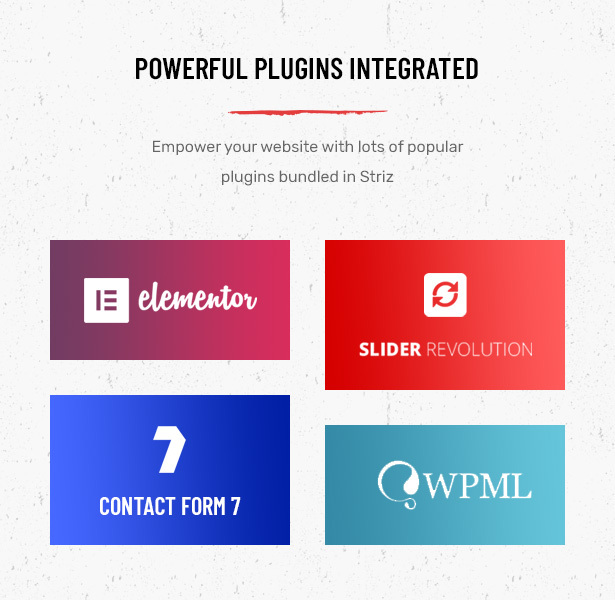 Striz is packed with many powerful plugins: Elementor, Slider Revolution, Contact Form 7, WPML, SEO Ready, One Click Install, etc. They are integrated to help you create one of the best fashion online store for your business. 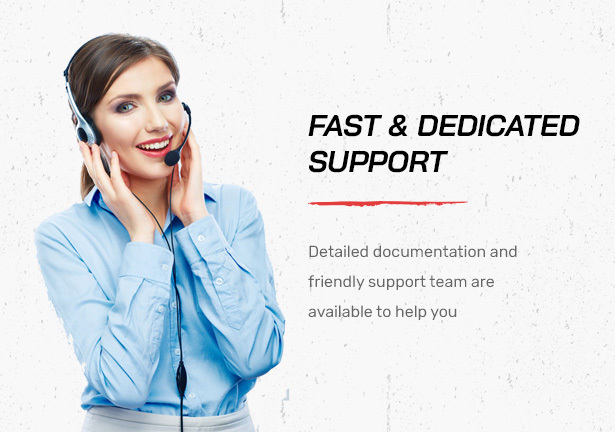 We provide detailed documentation and dedicated support team to help you out of any issue you meet when using our theme. 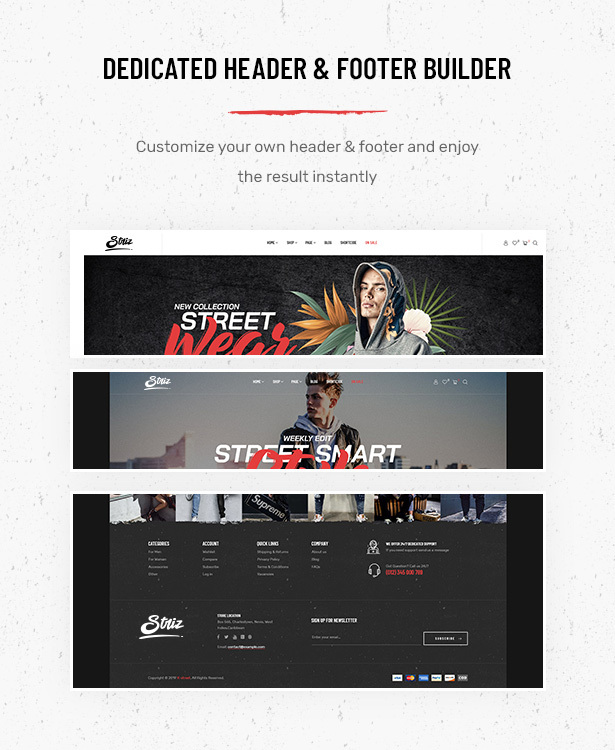 Don’t hesitate to explore Striz – one of our best WordPress themes now! 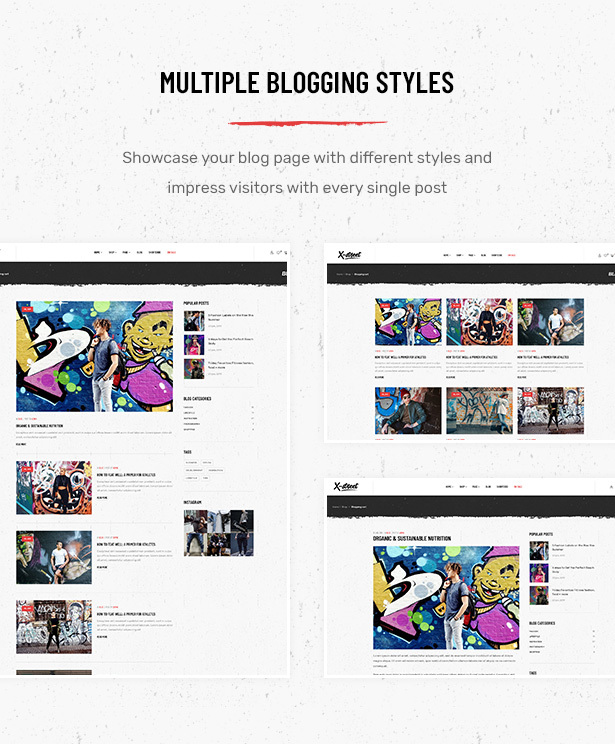 PROUD TO BE ONE OF THE BEST STREET STYLE FASHION WORDPRESS THEME!